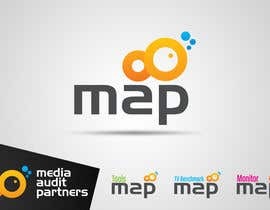 Create the logo for our company, Media Audit Partners. 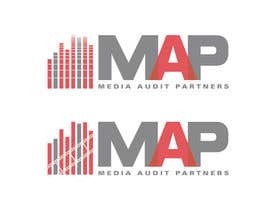 Media Audit Partners is a company built from scratch. There is no history regarding its visual ID. 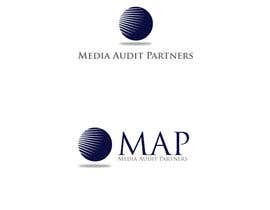 Media Audit Partners is a company which will provide consultancy and audit services for advertisers running campaigns in media (television, online, print, radio, outdoor). In order to better understand what we do, let's take an example. Let's assume that you are a major soft drinks brand which invests a lot in buying advertising space on television. At the end of the year you may need an independent expert opinion to evaluate the efficiency and effectiveness of your TV media buying. We'll provide to the client services such as price benchmark (how good his prices vs market), strategy audit (did he used the appropriate mix of channels and did he invested the right amount of money, etc). 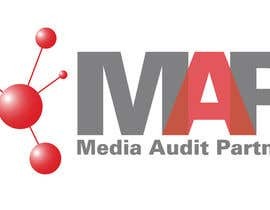 If you want to get more details on what media consultants & auditors do, please take a look at the site www.ebiquity.com. As any audit & consultancy company, our core values will be integrity, impartiality, accountability and accuracy of our work. 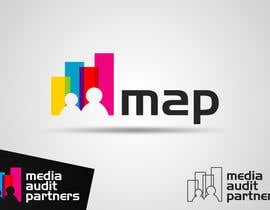 As mentioned above, we need the logo concept for Media Audit Partners. It will be used for stationery (business cards, letterheads, envelopes, folders, etc), emails, template for ppt presentation, website, etc). 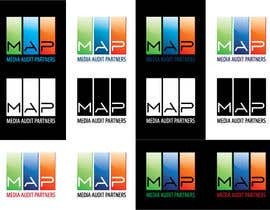 To make it very clear, this brief is only about creating the logo concept for Media Audit Partners. 1. 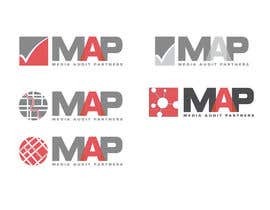 The acronym for our company name is MAP. As we see things now, it should be the core concept / idea of our logo. We believe that this abbreviation allows you to create a compact, balanced logo design (let's name it the "short logo version"). 2. In addition to that, we will need a "long version logo" which has to include company's full name long (Media Audit Partners). 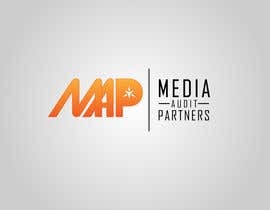 We know it's a bit long, but one of our issues / challenges will be to make as clear as possible to our prospects what we stand for : a media audit company. 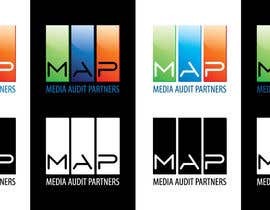 This should be the corporate, "long version logo" and should include "MAP - Media Audit Partners" words / elements. 3. 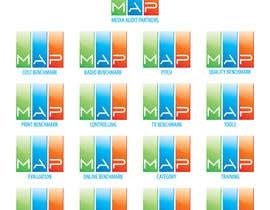 We also think to brand our working system / tools / procedures of working and include into their name the word MAP. 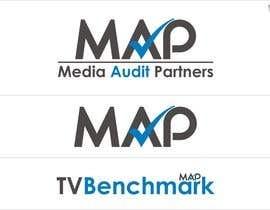 For instance, the TV analysis for price benchmark will be named TV Benchmark MAP. The analysis for the competition in a category will be named Category MAP. The analysis of monitoring reports will be named Monitor MAP. These sub-brands (TV Benchmark MAP, Category MAP, etc) should be visually coherent with the short & long MAP logo. 4. There is no preferred palette of color, please feel free to propose. 5. You should provide your design in the following file types: ai, eps, psd, jpg, gif. I just went ahead and put up those designs separately, so you could possibly give me an idea of the concept to continue with by rating them. I can go further with them, simplify them, or make any other adjustments. Thank you. If you have any feedback for me or would like me to make any changes with any of my designs, please let me know. As for now I will just leave them as they are and won't be posting any more unless I hear any different. Thanks for the great contest!! hello sir greetings..... please check in #121 #122 and #123...would like to have you feedback on it (please feedback in PMB).....thank you sir..... :) :) :) :)...! If you could possibly give me some feedback on #100 I would greatly appreciate it. I will focus more on my original design, leaving the text as it was and working more on the graphical element. Thank you! hi any feedback on #80 !!? Please check and rate #111,any feedback will be appreciated. Dear SorinDo, please take a look at my design 103. Thank you. Dear Contest holder, I have submitted my designs. Kindly have a look! Dear Contest holder, I am willing to participate in your contest and I have couple of great ideas but before I submit any ideas of mine, Can I ask you to seal this contest so no-one can copy others designs/idea? Oh that's just great Sorin, I am still working on them, (perfection stage) I will submit in the following day. By the day thanks for sealing the contest. Hello, please check my designs: #88, #89 and #90, thank you. please take a look at #80 thans! thanks for invitiation we ll submit concepts in 48-72hrs. can you wait on given time? The full brief is now posted above. The full brief is now reposted above. Thank you for your understanding. The full brief is now posted above. Sorry for any inconvenience. there is no attachment any more. The full brief is now posted above. Hello everyone. I posted the full brief. There is no longer any attached file for this contest. Thank you in advance for all proposals submitted. I apologize to all participants but the site fails to upload my.doc brief. I don't know why. I will retry.